NIAGARA FALLS, Ont. -- John Tavares had his shot thwarted in close before a speedy solo effort at the other end of the rink seconds later from Auston Matthews was also turned aside. 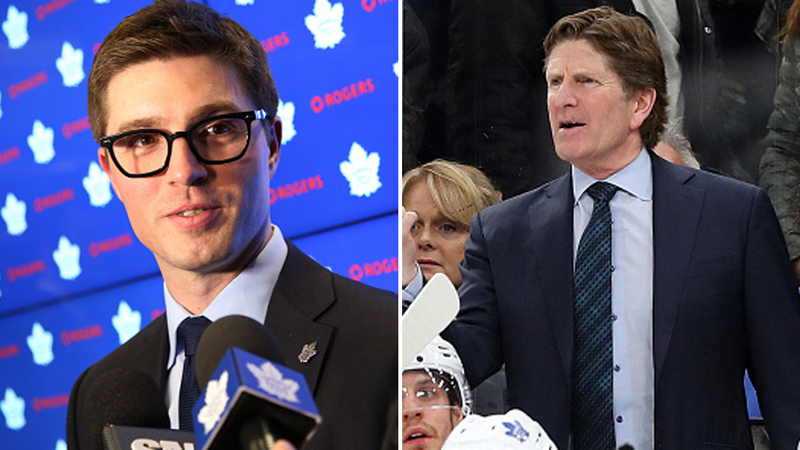 While neither of Toronto's star centres connected during the sequence, it was a brief glimpse of the firepower down the middle the Maple Leafs intend to unleash on the rest of the NHL this season, and for many more to come. 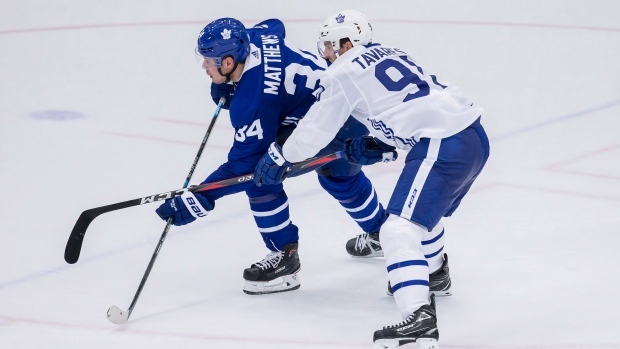 Toronto held its first on-ice sessions at training camp Friday, including a scrimmage that began with Tavares, who left the New York Islanders to sign a seven-year, US$77-million contract with the franchise he cheered for as a kid, and Matthews, Toronto's young phenom, facing off to get things started. "It was great to just get out there and get into it again," Tavares said. "(The) start of building towards where we want to get to." 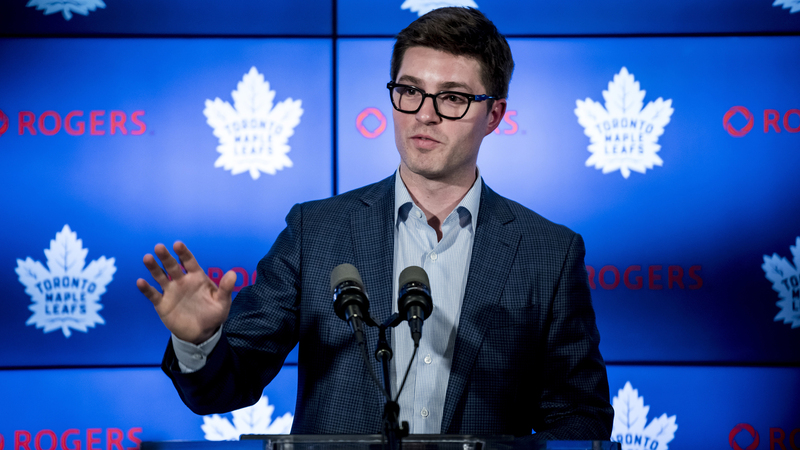 Leafs head coach Mike Babcock was true to his line-combination word with Tavares flanked by Mitch Marner and Zach Hyman, while Matthews skated with Patrick Marleau and Tyler Ennis, who is occupying the spot of William Nylander as the winger's representatives and management continue to negotiate a new contract. "It went pretty well," said Matthews, who had 63 points (34 goals, 29 assists) last season despite missing 20 games with various injuries. "Everybody's trying to get back into game shape and get the pace." "Sometimes things get old," said the coach. "It will be interesting to see how all that goes. 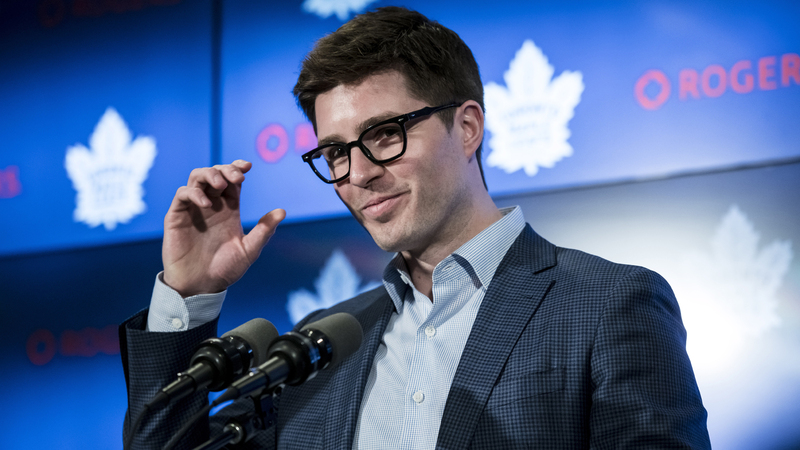 Right now if you're John Tavares and you've got Hyman and you've got Marner and they're both flying about 900 miles an hour, it's got to be a pretty good feeling." Matthews was a little surprised at the switch, but said the move is mostly about Hyman's versatility. "He fits in anywhere," said Matthews, who turns 21 on Monday. "He creates space for guys. He wins battles. He's tough to play against. "Anywhere you put him, he's going to be successful." 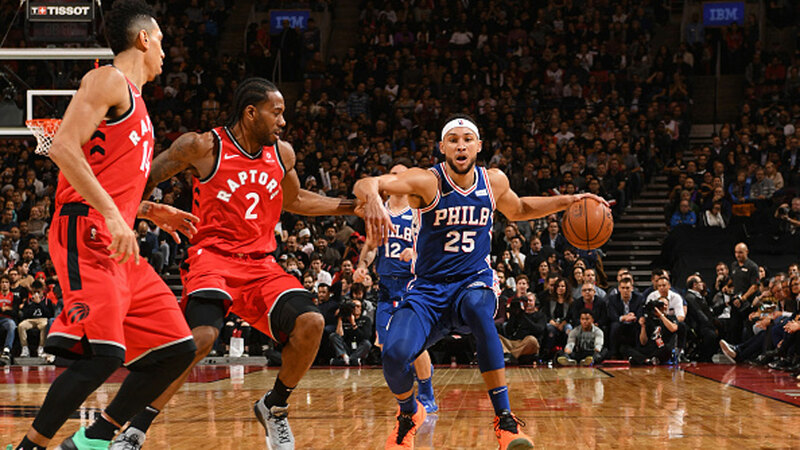 "One of the ways we were able to recruit John is by telling him he would get to play with real good players," Babcock said. "That's just the facts." Another fact was that Matthews' hands looked to be in mid-season form on a slick shootout deke -- the so-called "no-move" perfected by Tampa Bay's Nikita Kucherov where a player tries to deceive the goalie with his a series of manoeuvres before allowing the puck to slide harmlessly into the net. "Been messing around with that for a bit so I thought I'd bring it out," Matthews said. "I got lucky there actually. I thought he had it." "It was nice," Tavares added with a smile. "Like to see him continue those throughout the year. It was sneaky." "It's in that ballpark," Hainsey said. "You had (Crosby and Malkin) then you had (Nick) Bonino, who fit the role perfectly after that, then (Matt) Cullen. "We're kind of trending in that direction here. If Naz is scoring 30 goals as a third-line centre, you're probably in pretty good shape at that position. It's exciting to be part of a team like this where all the weapons are certainly there." "The attention around the team is unbelievable," he said. "A lot of fun being around that environment and that type of energy ... it's nice that it's finally real. "I'll definitely enjoy every day, every second of it. But at the same time I know how important the focus has to be on what you have to do to be ready to play."